Château Filhot is a second growth sweet, dessert wine from Sauternes, one of the very best sweet wine producing appellations anywhere in the world. In favourable weather conditions the grapes become infected with botrytis cinerea and undergo a process known as "noble rot" whereby the juice is concentrated to produce luscious dessert wines. This vintage of Ch. 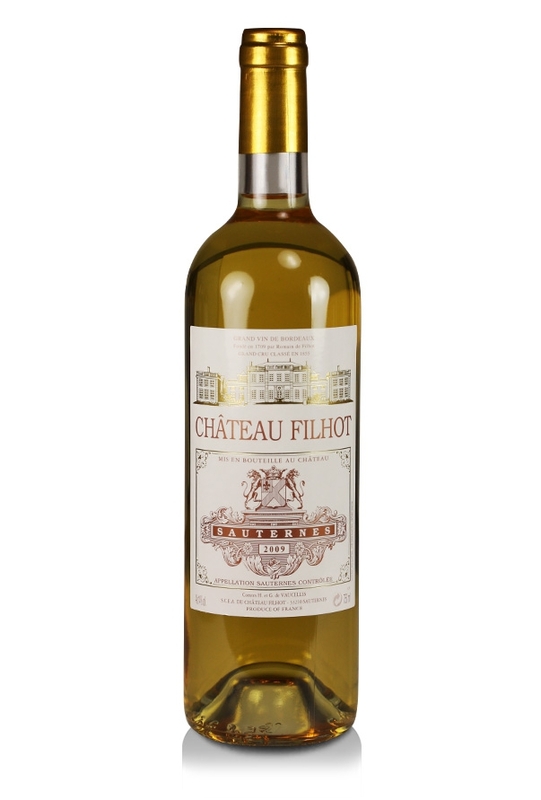 Filhot, although delicious drinking now, will reward cellaring as it continues to develop in bottle. It is characterised by a rich gold colour along with flavours of pineapple, papaya, lime and caramel with notes of vanilla and marzipan and a long finish.